Today, a 3days Residancial Personality Development camp, for school students, organised by Vivekananda Kendra Dibrugarh has been concluded. 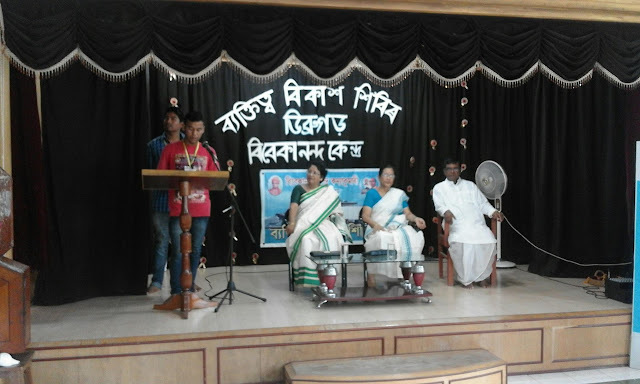 Students from various schools within Dibrugarh District parcipated with great devotion and enthusiasm. Students were from class V to X. The entire camp was arranged and conducted by the youth karyakartas of Vivekanda Kendra.They themselves are college going students and besides their normal studies they voluntarily dedicate themselves for the service of the our Mother land. 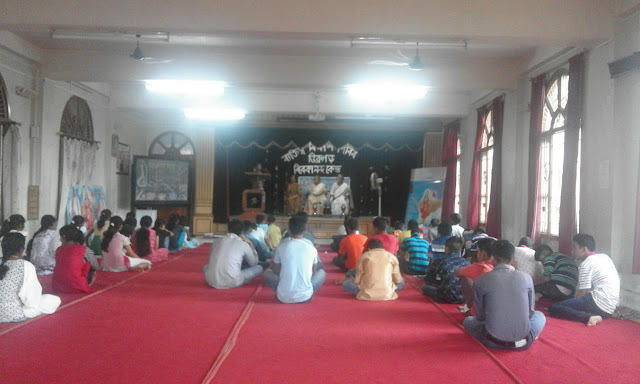 The camp comprising of Yogasan, creative games- Krira Yoga, Group discussions, devotional songs- Bhajan Sandhya, Creative arts sessions, inspirations sessions- Prerana se punar utthan, intellectual sessions- Boudhik satra, lecture session where various learned resources persons were invited. Today, a 3days Residancial Personality Development camp, for school students, organised by Vivekananda Kendra Dibrugarh has been concluded. Students from various schools within Dibrugarh District parcipated with great interest and enthusiasm. Students were from class V to X. The camp comprising of Yogasan, creative games- Krira Yoga, Group discussions- Manthan satra, devotional songs- Bhajan Sandhya, Creative arts sessions, inspirations sessions- Prerana se punar utthan, intellectual sessions- Boudhik satra, lecture session where various learned resources persons were invited. Vivekananda Kendra, Tinsukia branch organized SAMARTHA- a Yoga Module for the teachers of Hindustani Kendriya Vidyalaya, Tinsukia,Assam. 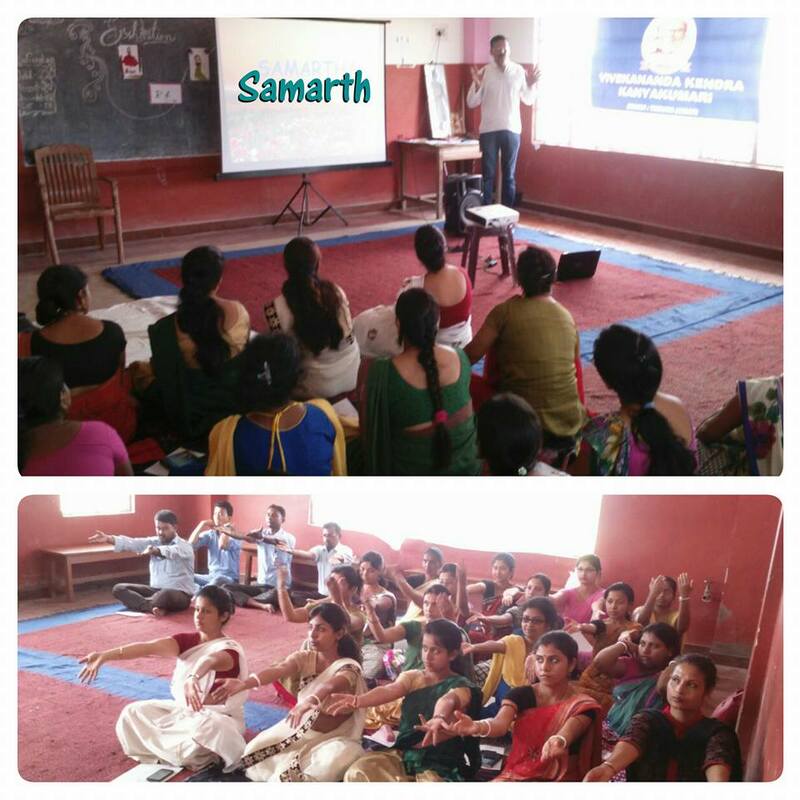 21 teachers from the above mentioned school participated in this camp, which concluded on 30th June 2016. The module includes power point sessions, micro-exercises, yoga and some creative games. The three PPT sessions were Never to be Bogged Down as a Teacher, Respond Creatively and Take the Whole Responsibility. In Yoga, teachers were taught various stretching techniques, Laghu Savashana etc. The Nagar Samity members of Vivekananda Kendra, Tinsukia and the SAMARTHA team conducted the camp, which benefitted the teachers.